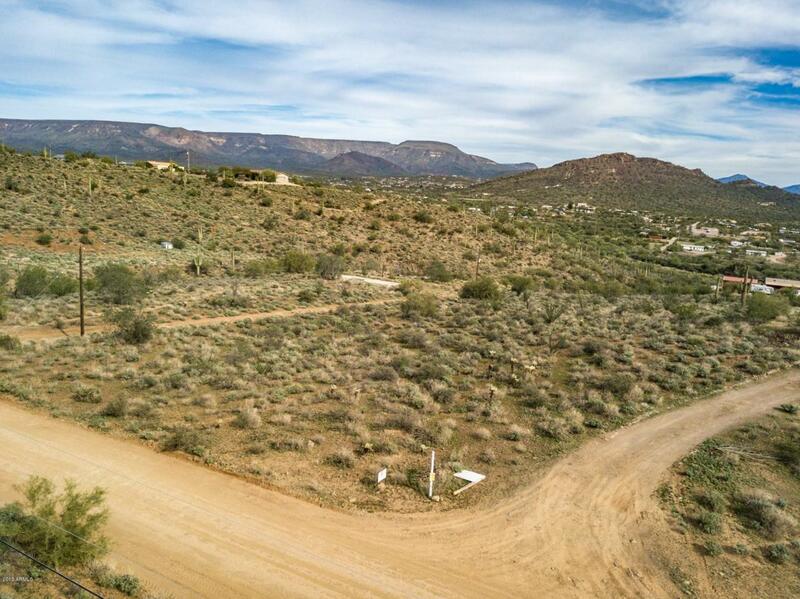 Unique 4 acres, contiguous with breathtaking Mountain Views & private setting. PRIVATE WELL. Enjoy City View & evening lights. Bring your Architect or Builder & create your dream Home. Listing includes all 4 parcels (a,b,c,&d). Well drilled and capped on parcel a. Big beautiful custom home being built across the street and many throughout the New River area. Spread out or sell off an acre or two to re-coup some of your investment. So many options. Seller may carry with minimum 20% down and no more than a 5 year term. Cross Street 7th St. & Carefree Hwy.